Where are health systems missing the mark when it comes to patient experience in their call centers? Often the first point of contact with patients, call centers play a critical role in setting the tone for the patient’s experience with a health system. However, many struggle to deliver the service patients seek—and convert demand to booked appointments—due to gaps in the data available to agents and manual processes for finding providers. 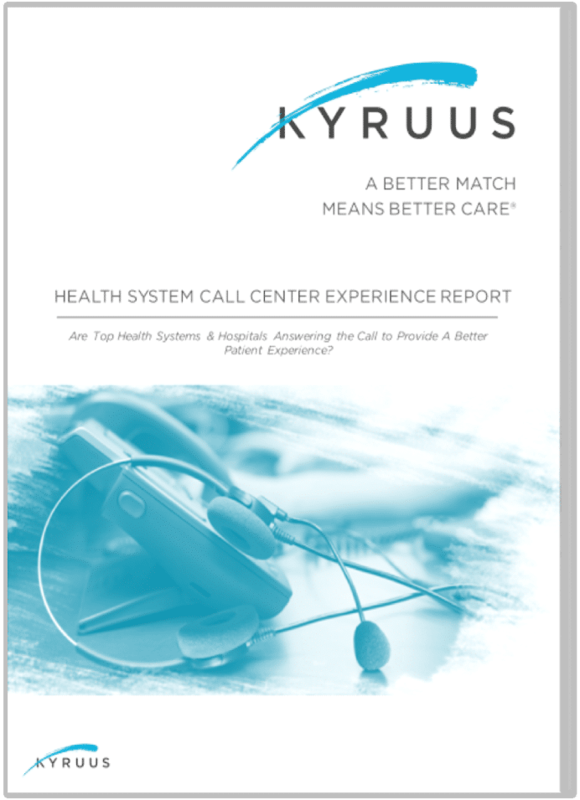 We dialed the call centers of 40 leading health systems and hospitals to evaluate how effective they were at meeting patient’s preferences and scheduling appointments. Our research revealed that 40% of the call centers were unable to meet half of a patient’s criteria, such as insurance and location. Even more concerning, only 60% were able to make an appropriate clinical match. As call centers continue to expand in scope, addressing information gaps is critical for improving patient access.